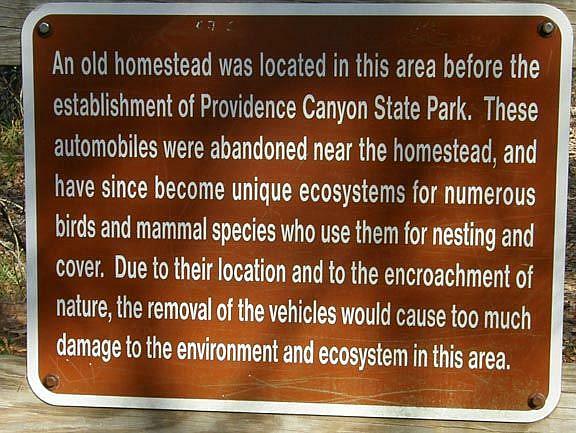 A photo of what is left of an old car, that was abandoned in Providence Canyon state park. 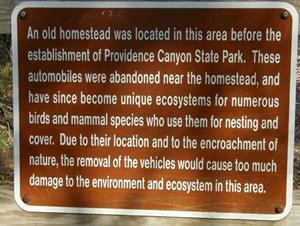 The detail image is of a sign posted at the site of the old abandoned vehicles. 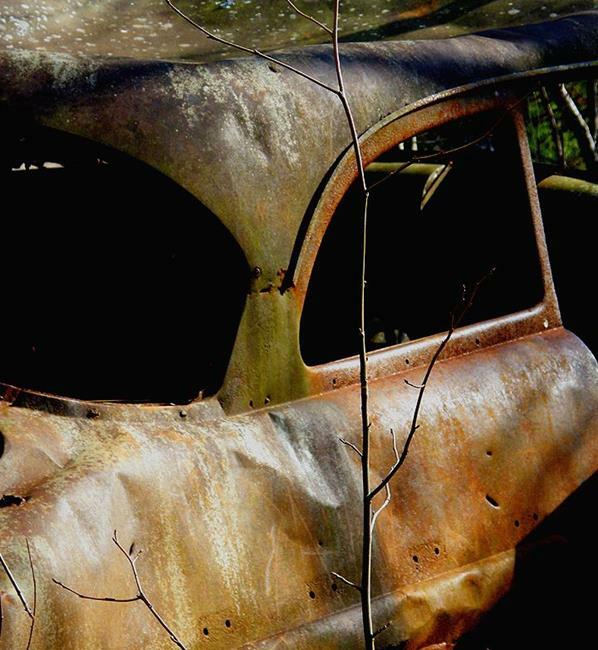 There are more pics of the canyon and cars in the photo section of my facebook page.